Introducing our Top 8 Marketing Suites for 2018! The property industry has really come of age when it comes to marketing. Growing numbers of property developers have come to recognise the importance of brand identity and customer journey in property marketing. As a result, we find ourselves creating more and more bespoke marketing suites to help them appeal to potential buyers. As the paint dries on our largest ever deluxe marketing suite, we’ve been thinking about the scale and variety of work that we do. Ultimately, to see which of our marketing suites really stand out? In true octopus fashion we’ve selected our top 8 Octink marketing suites. They all demonstrate our ability to build suites that adapt to any environment or client brief. In addition, highlighting our unique approach to creating marketing suites. From the simple to the prestige – these are our top 8! To start, our greatest challenge to date! 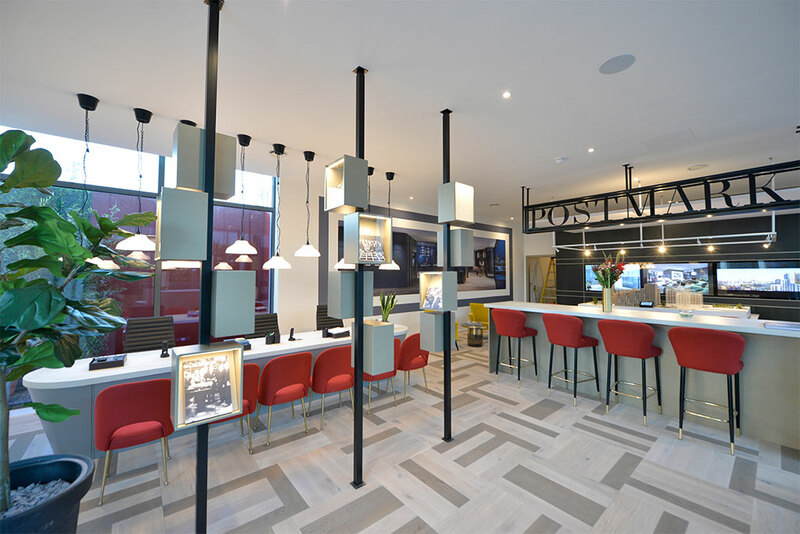 This towering three storey marketing suite has launched on the historic flagship site of the Royal Mail postal service. 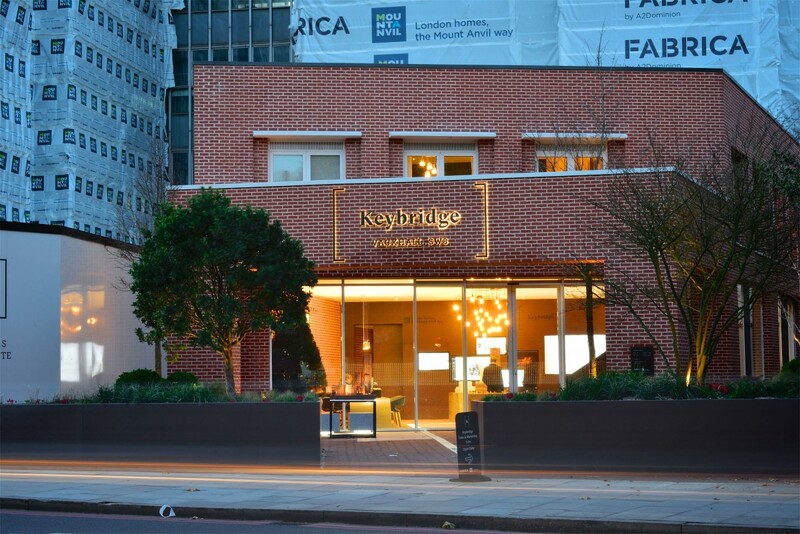 This was designed and built for Taylor Wimpey Central London in just 12 weeks. 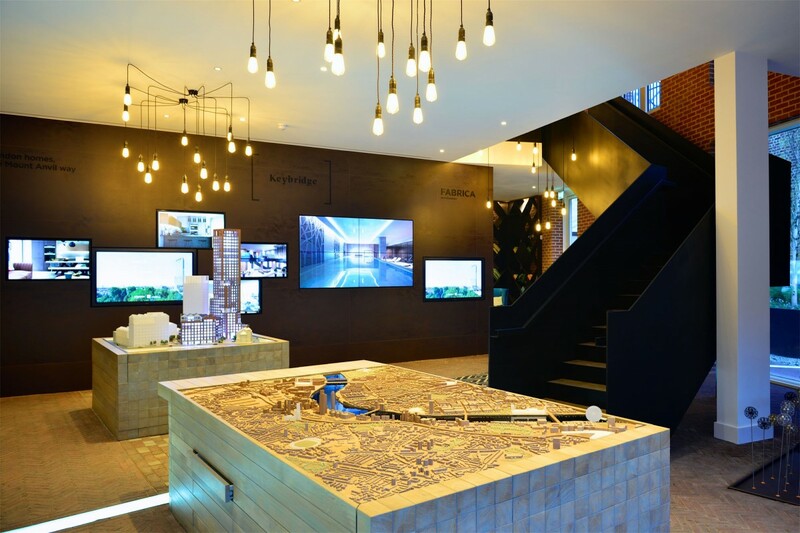 Initially, the customer journey begins on the open plan ground floor with a stunning entrance and feature glass atrium. Meanwhile, Conran inspired and decorated show apartments occupy the first and second floors. 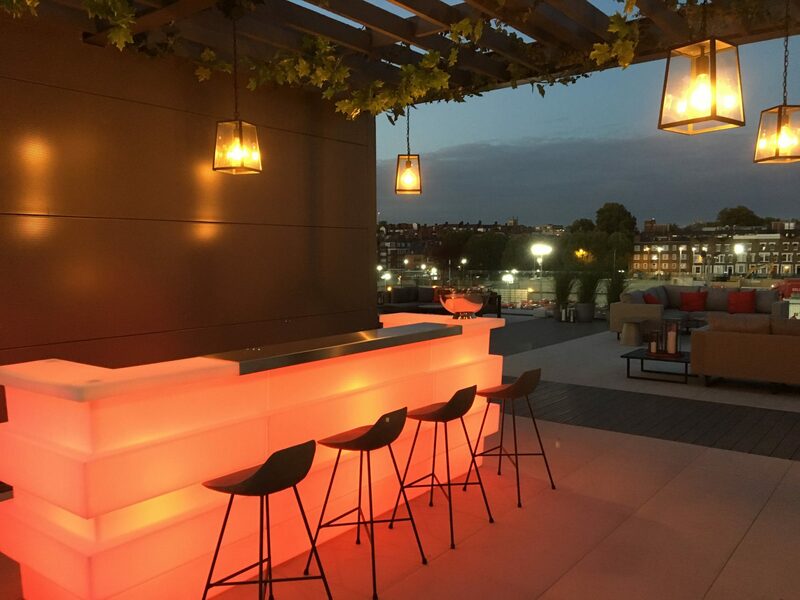 Chiefly, a roof terrace provides 360 degree views of the City of London and the site’s historic surrounds. Dedication, teamwork and determination were critical ingredients in meeting the deadline on this project. With just a 10 week window available we were briefed to produce something that ‘stands out from the crowd’. We delivered this superbly designed, high quality project at the consortium development, Westvale Park in Horley, Surrey. The suite was commissioned by FABRICA. Firstly, everything from the concrete foundation to the bespoke design and furniture called for Octink’s project management. Also, we successfully overcame the challenge of combining modular and traditional design and build techniques. 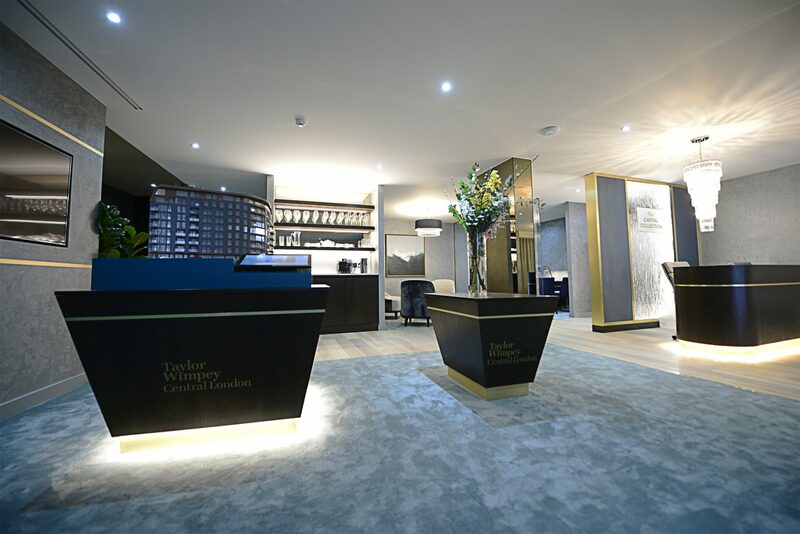 We designed and built a luxury appointed sales and marketing suite for Taylor Wimpey. Importantly, the sale of their Capital Collection apartments now occurs from here with a great track record. Indeed, this was a complex project. The main base building solution consisted of various elements that all needed incorporating. 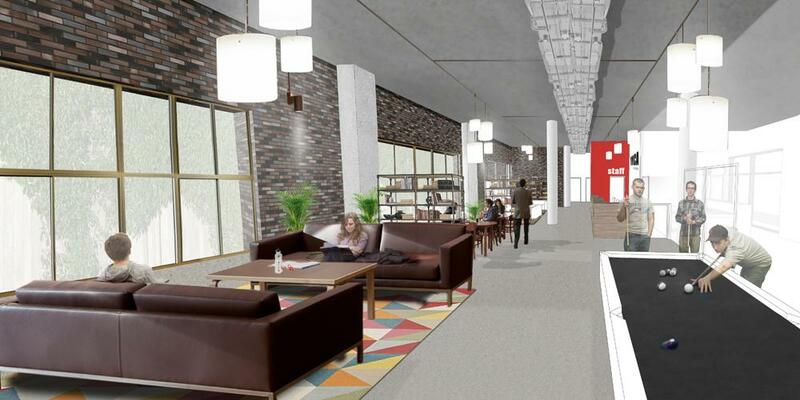 To clarify, these included concrete structural columns, raised floors, sound proofing and suspended ceilings. 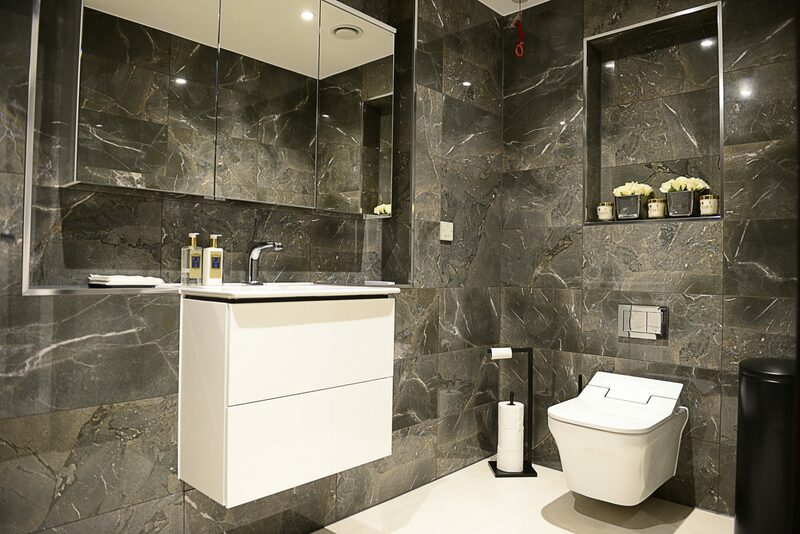 The final finishes included Italian marble tiles in the bathrooms alongside large smoked mirrors throughout. Floated glass partitions adorned the meeting rooms, combined with subtle graphics, signage and branding. This created a spectacular high-end result. 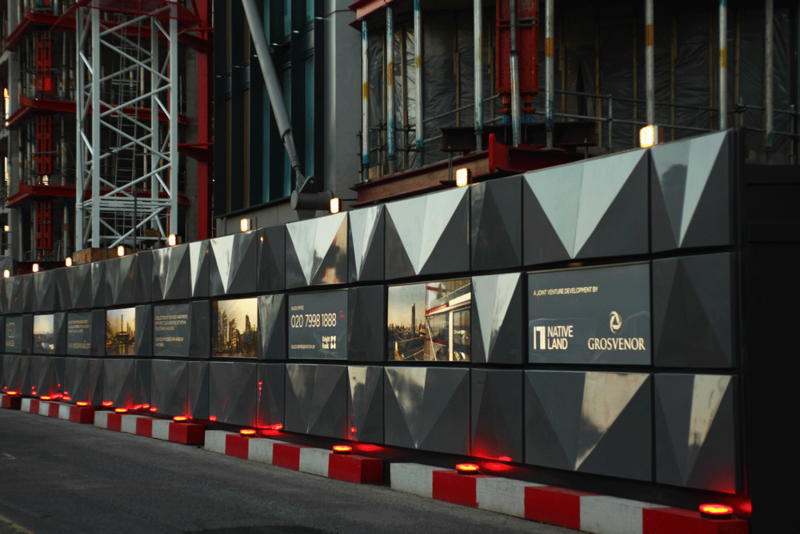 Phase One of this prestigious London development demanded an off-site solution for the initial releases and visitors. The challenge manifested itself in a run down corner shop close to the development. 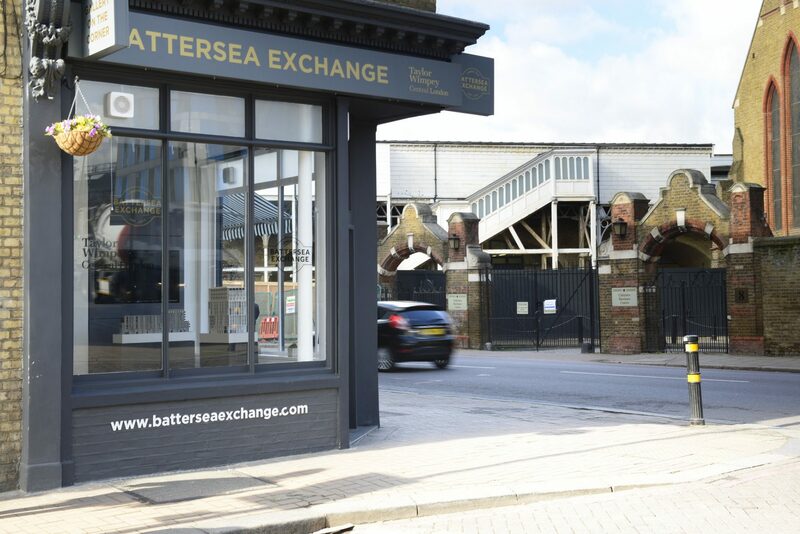 Firstly, we first stripped this out, then converted it into an impressive marketing space over two floors. With space at a premium, the full functionality of a larger suite had to be planned and delivered. The result certainly did this whilst giving Taylor Wimpey Central London maximum kerb appeal and presentation of their brand. 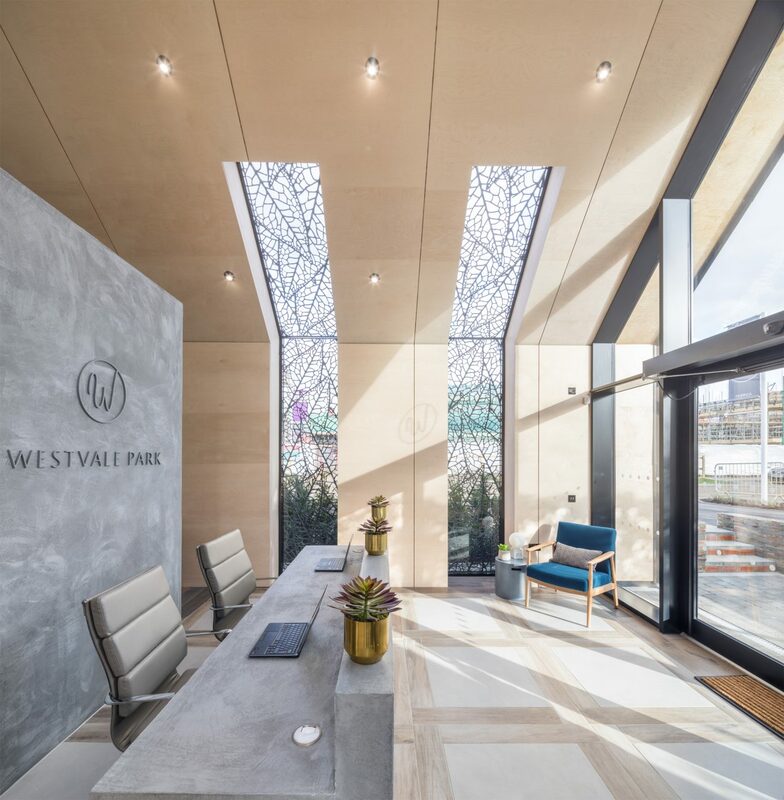 This bespoke suite was produced as part of the on-going regeneration of Nine Elms. Keybridge House is a two-storey marketing suite built for FABRICA. While the stunning exterior exudes maximum kerb appeal – the interior is where the design story comes to life. Architects Darlings used an array of contrasting materials, textures and finishes. 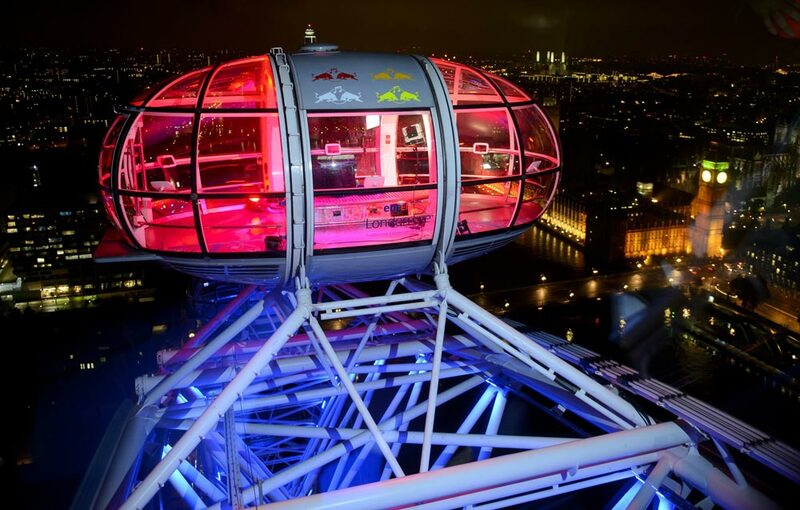 Together, these create a truly unique design and visitor experience. 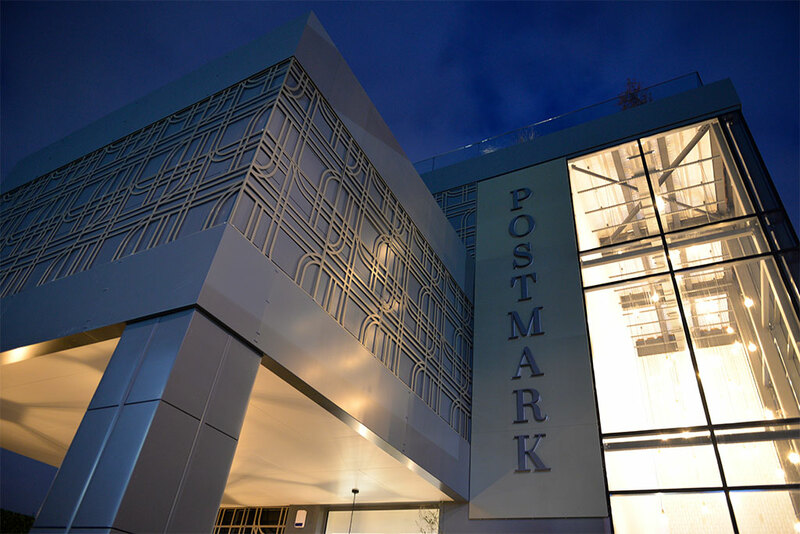 Our role was to coordinate the project end-to-end including the construction process. 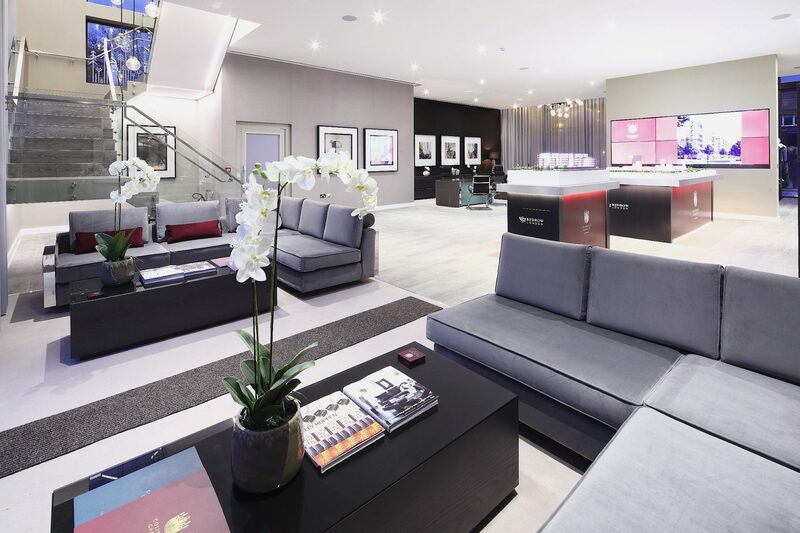 We provided a complete concept to completion delivery and internal fit-out service in just 18 weeks. This marketing suite is another example of how a portable cabin can be converted into an impressive eye catching branded experience. Portable buildings are a cost effective way to reduce install time and deliver your marketing suite on time and on budget. 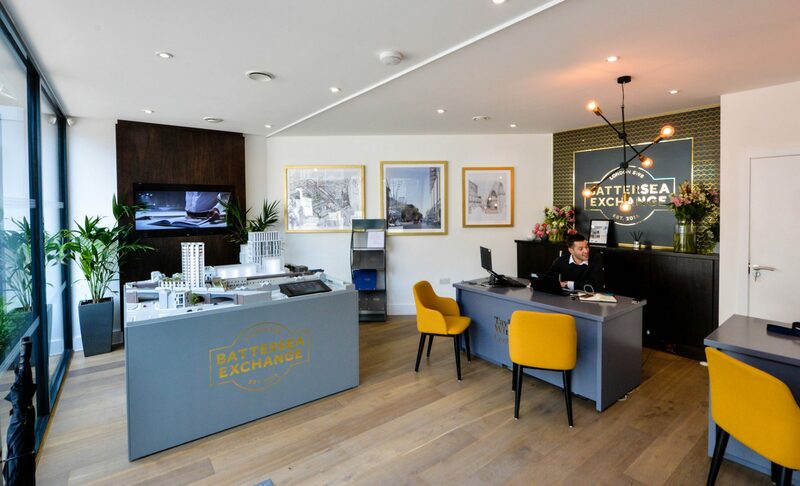 Commissioned by Berkeley Homes, we worked an accelerated programme. This meant the marketing cabin was fitted out ready to open in just 14 days. 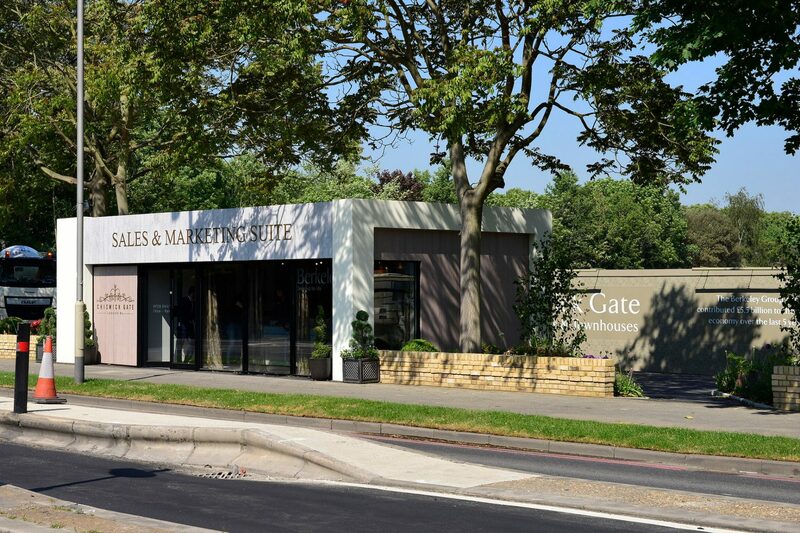 It provided the perfect roadside advertisement for this impressive West London development. 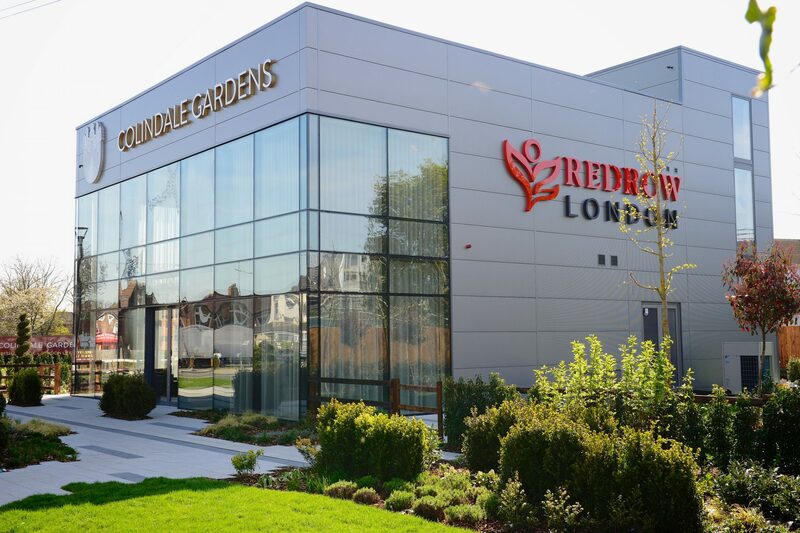 We delivered this visually engaging suite for Redrow’s flagship Colindale Gardens project. 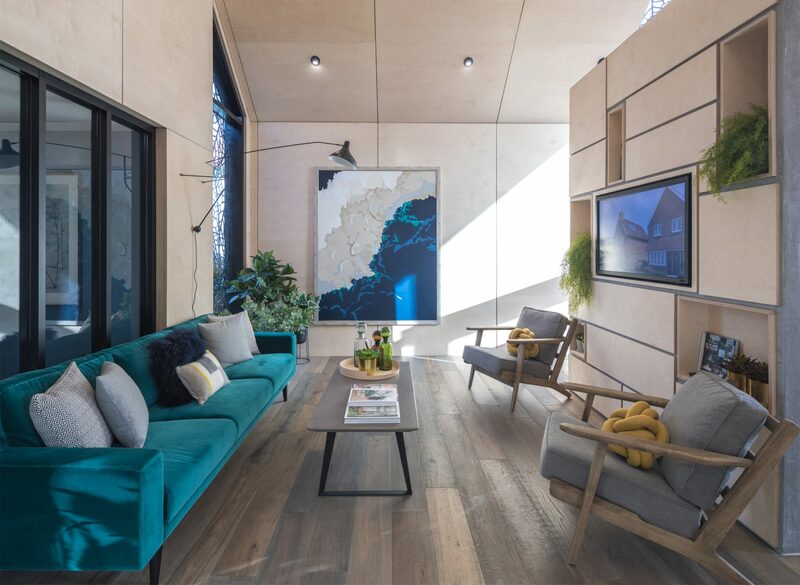 This project comprised of a collection of contemporary new homes in London NW9. 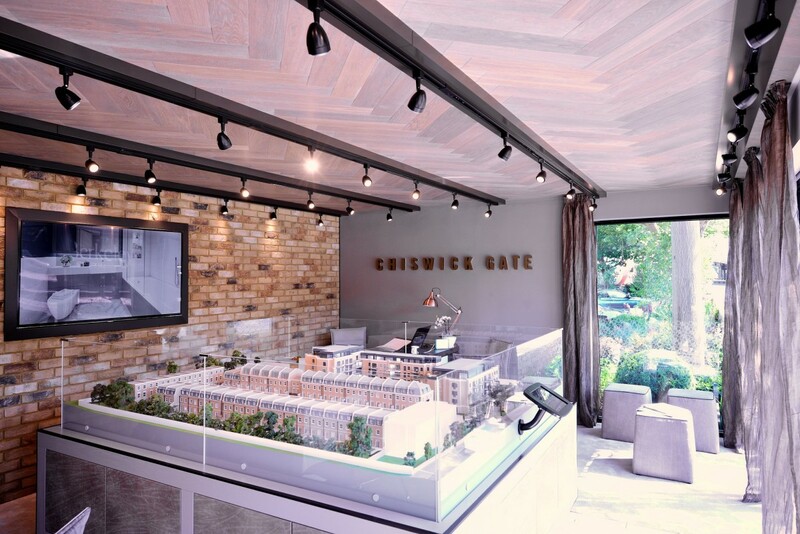 Built from the ground up in just 12 weeks, the suite aimed to establish Redrow into the London market. With this purpose in mind, we designed and built an expanse of double height glazing and frameless curtain walling. This meant letting in as much natural light as possible to this unique suite. As well as a large ground floorspace, the suite is topped off by a stunning roof & viewing area. This area overlooks the well landscaped gardens. Significantly, the feedback has been positive from both client and visitors that have walked through its doors. For this suite, our brief was simple – deliver a marketing suite with the ‘wow factor’. We utilised modular build techniques for the structure. Externally, we decorated the build with British red cedar cladding. 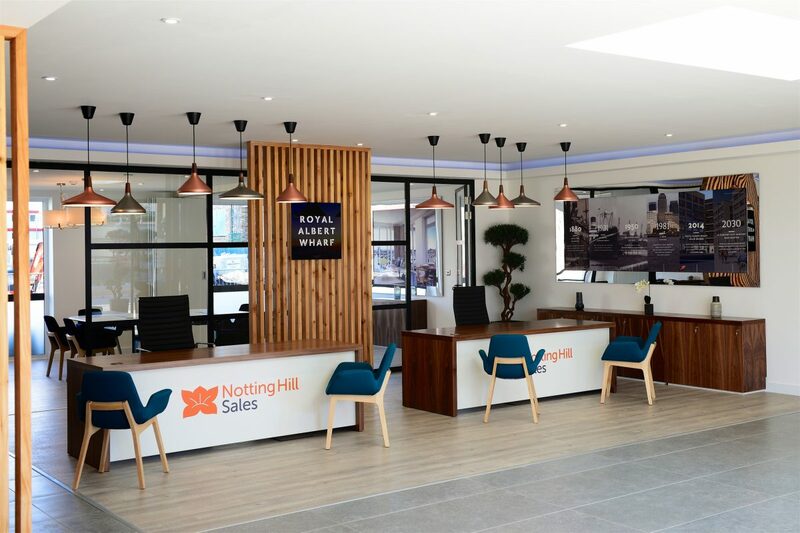 The end result was a stunning building for the Notting Hill Housing Group. Internally, the customer journey is facilitated by a vast reception area. This is furnished with soft seating areas, a large interactive zone and a two bedroom show apartment. 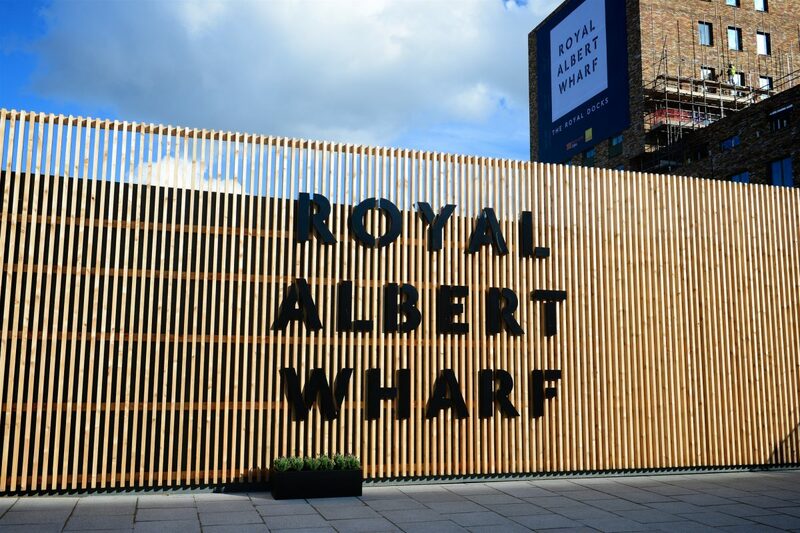 The interior is optimised to sell the development of 400 apartments at Royal Albert Wharf in London’s Docklands. Accordingly, the result was a unique and modern look – all delivered in just 10 weeks. To conclude, are you looking for ideas for your next marketing suite or sales cabin project? Come and talk to the experts here at Octink.